I listened to “Buy A Heart” with Nicki Minaj and Meek Mill nonstop. I wasn’t sure how, but I was positive that song would play at my wedding. Then Meekgate happened, and the floodgates of shade opened everywhere. 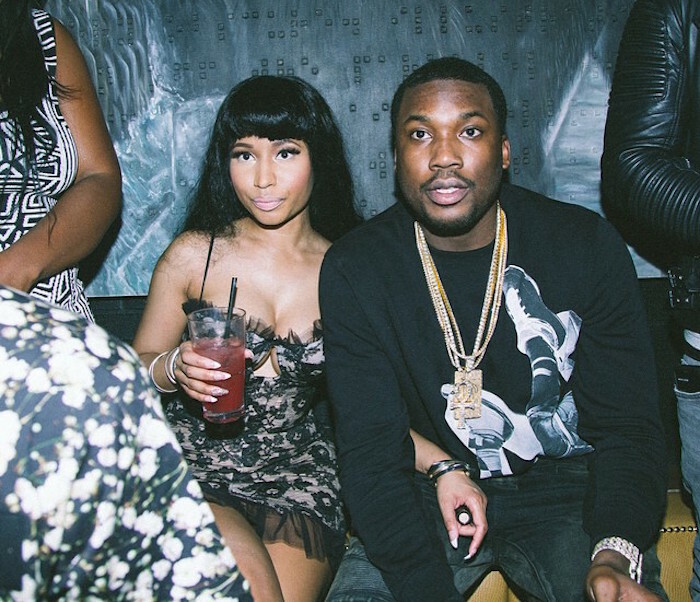 But at the end of the day, unless a reputable source says otherwise, Meek is still Nicki’s Bae. I hope Meek is able to put more care and dedication into his relationship with Nicki than he did his diss track. Alright enough with the shade, let’s get to the serious point. Beware of the Bae. The Bae can lurk in the corners of the latest club. The Bae can practice the perfect smile while learning your greatest weakness. If careless, the Bae can have you baldheaded, broke, and crying into a tub of Ben & Jerry’s. Lions, Tigers, and Baes—oh my. The world is scarier than Tinder in its darkest hours. Ciara, Nicki, and Halle Berry all had to deal with the Bae who messed with their money, time, and who wasn’t worthy of their affections. The question that Black women are left asking is how do we fall in love carefully. Fall in love with the wrong one and you run the risk of forgetting that in every Black woman there is a part of her that is YBF. I’m not telling you to delete all your dating apps, burn your IPhone, and run to the nearest convent. No one has time for that. Plus, I called the nearest convent and they said I wouldn’t be able to play R8 on repeat. In all seriousness, we can’t escape this society, even though it feels as if they’re always poking fun at Black women. We deserve love and adoration. However, we have to figure out how to prevent ourselves from becoming the urban legend of the woman who knew too little about her love. First thing, we have to love and know ourselves. Never apologize for who you are and never stop striving to be the person you want to become. Second, we have to stop taking crap and thinking we can dust it off and reveal a hidden diamond. We have to learn that there’s a difference between a face-lift and complete reconstructive surgery.